THE work needed on the section of the Leeds & Liverpool Canal will result in the waterway being closed until the 23rd of May. It was way back in November last year that the canal was closed from Manchester Road Bridge 130B to Bridge 130E at the end of Burnley Embankment owing to the towpath wall collapsing and the canal badly leaking and so was closed to navigation and the towpath also closed, Keith Gudgin reported. When the canal was dewatered it was discovered the amount of silt along the length of the affected area was far greater than originally anticipated, but was also found to be contaminated, meaning special measures had to be taken to remove it from site and to dispose of it safely, causing delay to the project. Moreover, when the navigation was dewatered, it was found the retaining wall was in a much worse condition than initially expected. This too has resulted in additional works. 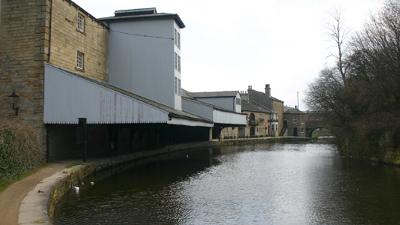 The photograph shows the canal at Manchester Road. Contractors have now started the canal relining and construction of the new towpath concrete retaining wall is under way, however there have been additional problems with repairing the existing offside and towpath walls as some more sections have collapsed. It is this that has caused further delays and the re-opening of the navigation will not be until until the 23rd May.